This was a good course that balanced the interests of a broad audience from those with only a fundamental understanding of computers and cybersecurity to experts. For the cybersecurity technology professional, Professor Rosenzweig of The George Washington University Law School will give a new appreciation for some of legal and constitutional aspects of cyber issues. If you are thinking about ordering the course, I do not think that video would add to the presentation – audio only would be fine. Cyberspace is the 21st century’s greatest engine of change. And it’s everywhere. 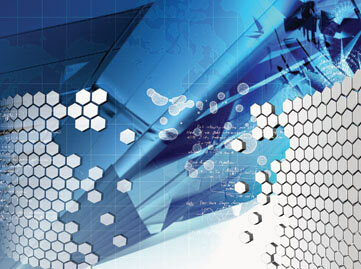 Telecommunications, commercial and financial systems, government operations, food production—virtually every aspect of global civilization now depends on interconnected cyber systems to operate; systems that have helped advance medicine, streamline everyday commerce, and so much more. Which makes keeping these systems safe from threat one of the most pressing problems we face. To learn more about this course, click here to visit the Teaching Company website. This entry was posted in Courses, Uncategorized on January 31, 2015 by phil. “David and Goliath: Underdogs, Misfits and the Art of Battling Giants” is one of the many good books by one of my favorite authors. 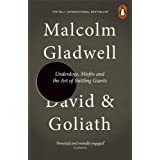 Always entertaining and insightful, Malcolm Gladwell explains that a disadvantage can sometimes be an advantage in the form of a “desirable difficulty”. Losing a parent and dyslexia are two of the examples of disadvantages that some people turn into advantages because they can build boldness, determination, and self-reliance. While the book is good and I agree with most of Gladwell’s conclusions, other conclusions are simplistic. Gladwell uses case studies and examples rather than scientific data, so at the end of the day it comes down to whether you choose to agree with him. This entry was posted in LinkedIn/Amazon Reading List, Uncategorized on May 16, 2014 by phil. This course gives an overview helpful to the understanding of macro economics. Good but not great. Money is a social contract that affects the decisions of nations and individuals. Our financial institutions drive our political systems and the growth of nations. And money and banking are indispensable in both your daily financial transactions and your most essential long-term plans. Speaking to all of this, economist and award-winning Professor Michael K. Salemi of The University of North Carolina at Chapel Hill leads you in a panoramic exploration of our monetary and financial systems, their inner workings, and their crucial role and presence in your world. Dr. Salemi reveals all of this and more as a great and rousing human story, with remarkable details of how financial systems came into being, the problems they’re designed to solve, and how they’ve evolved and changed. For more information on this course, click here to visit the Teaching Company website. This entry was posted in Courses, Uncategorized on May 10, 2014 by phil. This was an outstanding course that gave me an introduction to an important topic. The “big aha” for me was that something can be 100% deterministic and still unpredictable beyond the short-term. More than some Teaching Company courses, it gave a clear understanding of the mathematical and scientific underpinnings of the subject. For example, I found it more enlightening and specific than the course on Complexity Theory. 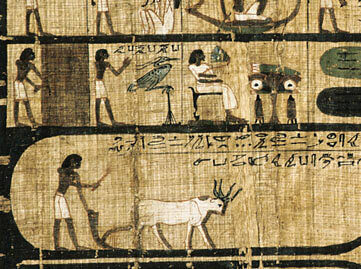 It has been called the third great revolution of 20th-century physics, after relativity and quantum theory. But how can something called chaos theory help you understand an orderly world? What practical things might it be good for? What, in fact, is chaos theory? “Chaos theory,” according to Dr. Steven Strogatz, Director of the Center for Applied Mathematics at Cornell University, “is the science of how things change.” It describes the behavior of any system whose state evolves over time and whose behavior is sensitive to small changes in its initial conditions. The 24 lectures of Chaos take you to the heart of chaos theory as it is understood today. Taught by Professor Strogatz, an award-winning Ivy League professor and a scientist described by Nature magazine as “one of the most creative biomathematicians of the past few decades,” Chaos introduces you to a fascinating discipline that has more to do with your everyday life than you may realize. This course provides interesting background material that I found helpful as I read more engaging books such as Thinking Fast and Slow by Daniel Kahneman and On Intelligence by Jeff Hawkins. Biology and Human Behavior: The Neurological Origins of Individuality, 2nd Edition, is an interdisciplinary approach to this fascinating subject. In 24 lectures, you will investigate how the human brain is sculpted by evolution, constrained or freed by genes, shaped by early experience, modulated by hormones, and otherwise influenced to produce a wide range of behaviors, some of them abnormal. You will see that little can be explained by thinking about any one of these factors alone because some combination of influences is almost always at work. For more information about this course, click here to visit the Teaching Company website. This was not my favorite course, but it was a solid overview of strategic thinking, strategic planning, and problem solving. Strategic thinking is a powerful and invaluable skill, one that leads to greater chances of success in whatever professional and personal projects you’re involved in. It involves setting goals, developing long-range plans, anticipating the unexpected, analyzing your environment, and even cooperating with your competitors. The only catch: Strategic thinking doesn’t come naturally. Because most of us are static thinkers who tend to make decisions only for today, strategic thinking skills have to be learned, cultivated, practiced, and applied. And while the subject owes much to ideas and techniques developed in military situations, its applications go far beyond. With Strategic Thinking Skills, you’ll get a simple and comprehensive guide to the skills, tactics, techniques, tools, case studies, and lessons behind this all-important process. Business consultant, former military intelligence officer, and award-winning Professor Stanley K. Ridgley of Drexel University has crafted these 24 lectures as an accessible way to engage with thinking that will help you think—and act—more strategically in business and in your own life, whether you’re the CEO of a Fortune 500 company or you’re preparing to embark on a new career path. As are most of the Teaching Company courses, this course was interesting and expanded my perspective. I knew “academically” that China had long been a great country, but this course gave me a deeper appreciation that China as a weak and impoverished backwater was a historical anomaly. Having visited China a couple of times, this course helped me to understand the transformation that I saw and still see unfolding in the news. China—the world’s oldest continuous civilization—has undergone an astonishing transformation in a brief span of recent history. Since the collapse of its once-glorious empire in 1911, China has seen decades of epic turmoil and upheavals, emerging in the new century as both an authoritarian megastate and an economic powerhouse, poised to become an imposing global force. By current estimates, the People’s Republic is set to outpace the United States economically in the coming decades and to rival or surpass it militarily, making China the richest, most powerful nation on earth. How did this happen? How can we account for China’s momentous—and almost wholly unanticipated—global rise? And what does it mean, for us in the West and for humanity’s future? Speaking to these vital and fascinating questions, The Fall and Rise of China, taught by China expert and Professor Richard Baum of the University of California, Los Angeles, brings to vivid life the human struggles, the titanic political upheavals, and the spectacular speed of China’s modern rebirth. Offering multilevel insight into one of the most astounding real-life dramas of modern history, The Fall and Rise of China weaves together the richly diverse developments and sociopolitical currents that created the China we now see in the headlines. As we enter what some are already calling the “Chinese century,” the role of China is deeply fundamental to our reading of the direction of world civilization and history. In 48 penetrating lectures, The Fall and Rise of China takes you to the heart of the events behind China’s new global presence, leaving you with a clear view of both the story itself and its critical implications for our world. I would have titled this course “The history of food production and the domestication of animals.” The course offers great insight into the relationship between civilization and large-scale food production – how it has helped us and how it is, now, hurting us. The professor is not a “tree hugger”, but he has an appreciation for the environment and animals, which is appropriate given that, in addition to teaching at Purdue, he is also a farmer. Go Purdue! In Understanding the Human Factor: Life and Its Impact, award-winning educator Professor Gary A. Sojka takes you on a journey through this fascinating story, surveying the remarkable innovations that transformed humankind into the sole agriculturists on our planet. Over the course of 24 thought-provoking lectures, Professor Sojka draws on the latest science to offer a unique, multidisciplinary perspective on human life seldom available in a single course. Bringing together insights from a wide variety of fields—including microbiology, genetics, archaeology, and sociology—Professor Sojka weaves a complex and remarkable tale, a fascinating synthesis of science and history that spans from the ancient roots of human culture to some of the most significant issues facing the modern world. For more information on this course, click here to go to the Teaching Company website. This course was excellent. The most interesting thing to me was that a Frenchman who visited America in 1831 could offer insights about my country that are highly relevant more than 180 years later. It is clear that Alexis de Tocqueville was brilliant and a tremendous observer to have perceived so much in a relatively short visit. How is it possible that perhaps the greatest book about U.S. democracy ever written was penned by a Frenchman visiting this country 175 years ago? Why is it still relevant in today’s ever-changing political landscape? 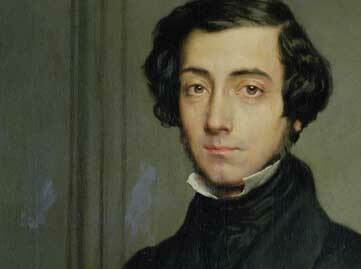 Now you can draw your own conclusions as you join Professor William R. Cook for a spirited exploration of Alexis de Tocqueville and his unique observations of this young nation that resulted in the two volumes of Democracy in America. For more information about this course, click here to go to the Teaching Company website. We use it routinely to cure diseases, solve crimes, and reunite families. Yet we’ve known about it for only 60 years. And what we’re continuing to learn about it every day has the potential to transform our health, our nutrition, our society, and our future. What is this powerful mystery? 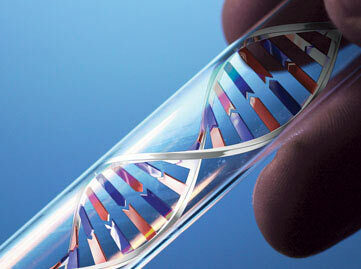 It is DNA—deoxyribonucleic acid, the self-replicating material present in nearly all living organisms. Award-winning teacher, author, and cancer researcher Dr. David Sadava unlocks its mysteries in his new course, Understanding Genetics: DNA, Genes, and Their Real-World Applications. He guides us through decades of scientific discovery and the weighty implications for us, as individuals and as a society.